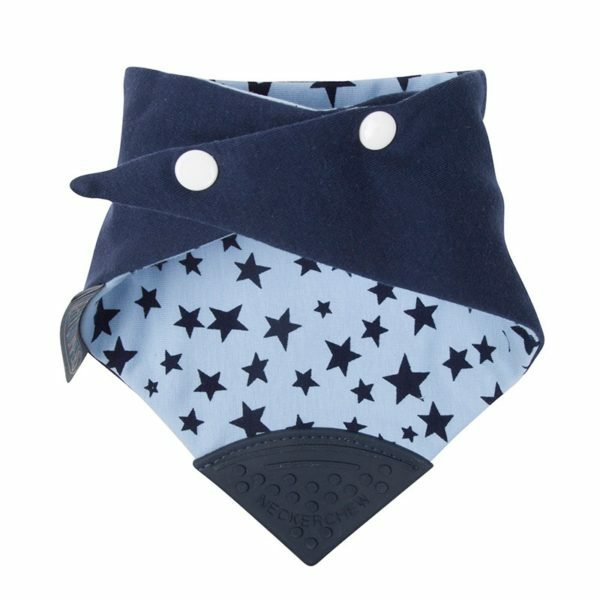 Chewy dribble bib for teething tots. 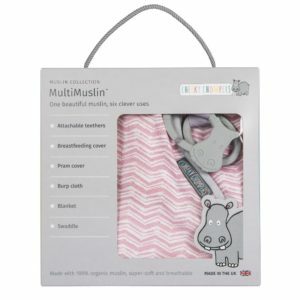 This chewy dribble bib is stylish, reversible, absorbent and hygienic – avoid dropped teethers! 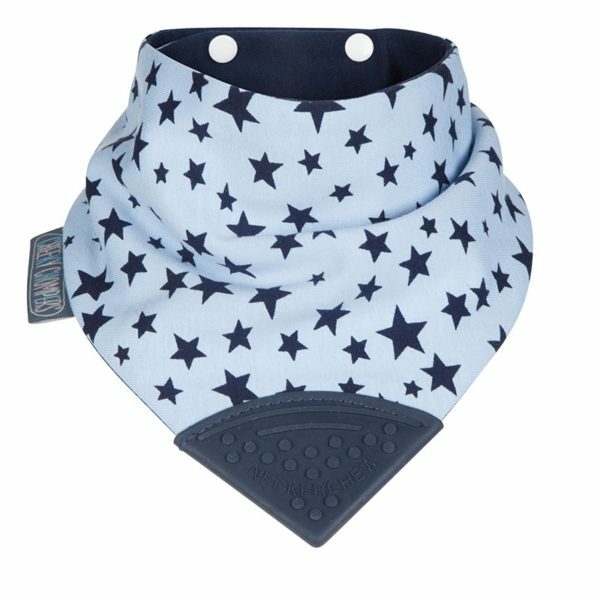 A little touch of sparkle for your little star. 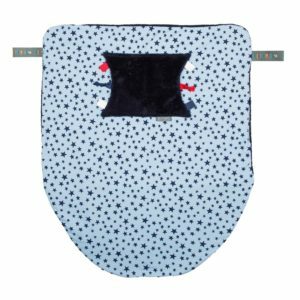 Stylish reversible light blue and navy stars Neckerchew bib with a navy reverse.